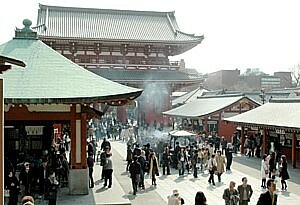 Pacific Delight Tours (www.PacificDelightTours.com), is launching new air-inclusive itineraries, such as the 10–day Highlights of Japan & China program, starting at $3,599 per person, based on double occupancy, which features some of the most recognizable and iconic sights in Asia. The tour begins at Tokyo Tower, where guests will enjoy a stunning panoramic vista of the city, followed by a visit to Meiji Shrine, a Shinto monument to Emperor Meiji and Empress Shoken. Next, the program moves to Tokyo’s Imperial Palace located at the former site of Edo Castle, which was demolished after the Tokugawa shogun was overthrown in 1867. The Imperial Palace now serves as the royal residence of Japanese Emperor. Guests will pass the Akasaka Guest House as well as the meeting place of the Japanese House of Representatives and the House of Councilors on their way to the Ginza, Tokyo’s upscale shopping district. Visitors will drive through Japan’s picturesque Kanagawa Prefecture to Mount Fuji, Japan’s highest, stopping halfway up the mountain for remarkable views. They’ll view the volcanic terrain of Hakone from the vantage point of a double-wired gondola lift on their way to Owakudani Boiling Valley, referred to locally as the “Valley of Hell” due to the steam escaping from its rugged mountains. Their experience of Tokyo’s countryside culminates with a tranquil cruise along Lake Ashi revered for its views of Mt. Fuji. In Kyoto, guests will see Nijo Castle, a UNESCO World Heritage Site dating back to the Tokugawa Shogunate era in the 17th century, before continuing to Kinkakuji Temple, a Zen temple and garden complex dating back to the late 14th century. They will also visit Kyoto Imperial Palace, the former residence of Japan’s emperors until 1869. The program concludes in Beijing, where travelers will observe Tiananmen Square and the extravagant Ming-era Imperial Palace in the Forbidden City. They’ll also visit the renowned Great Wall as well as the Summer Palace, a UNESCO World Heritage Site. 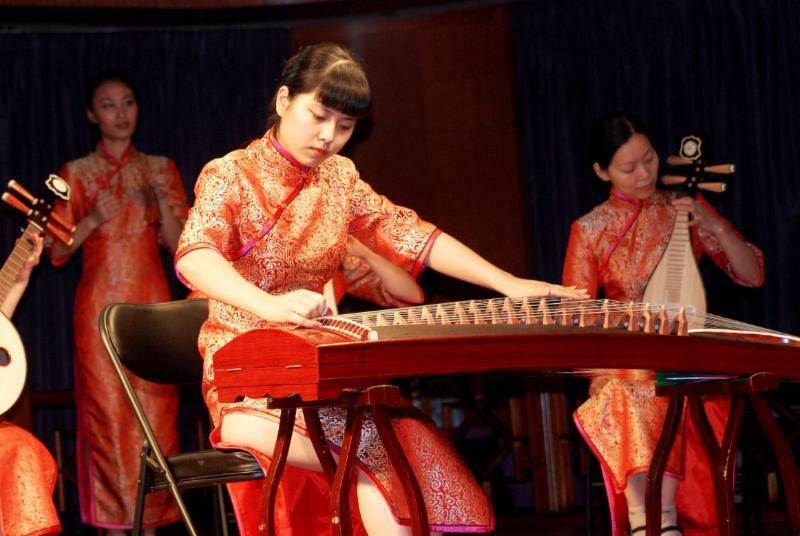 On the last night of the tour, visitors will have the chance to attend an optional Legend of Kung Fu performance. This World of Difference® Escapade experience provides travelers with three nights in Tokyo’s New Otani Garden Tower hotel, two nights at the New Miyako hotel in Kyoto and three nights at the Marriott City Wall in Beijing. The tour also includes transpacific air (LAX/SFO, add $200 for JFK), intra-Japan transportation, an intra-Asia flight, guaranteed land transportation with two passengers, initial arrival and departure transfers, English-speaking guides, eight breakfasts, three lunches and the USTOA $1 Million Travelers Assistance Program. The program starts at $3,599 per person, based on double occupancy. Transpacific airfares include all government taxes, fees and airline surcharges. There is a single supplement available starting at $899. Travelers seeking a longer tour may opt for Pacific Delight’s air-inclusive 15-Day In-Depth Japan & China program, extending the highlights experience to Xi’an, Shanghai and Wuzhen from $4,199 per person, based on double occupancy. For more information or to book, consult your local travel agent, contact Pacific Delight Tours at 800-221-7179, 212-818-1781, or visit www.PacificDelightTours.com. Victoria Cruises operates a variety of itineraries on the Yangtze River in China ranging from four to nine days. 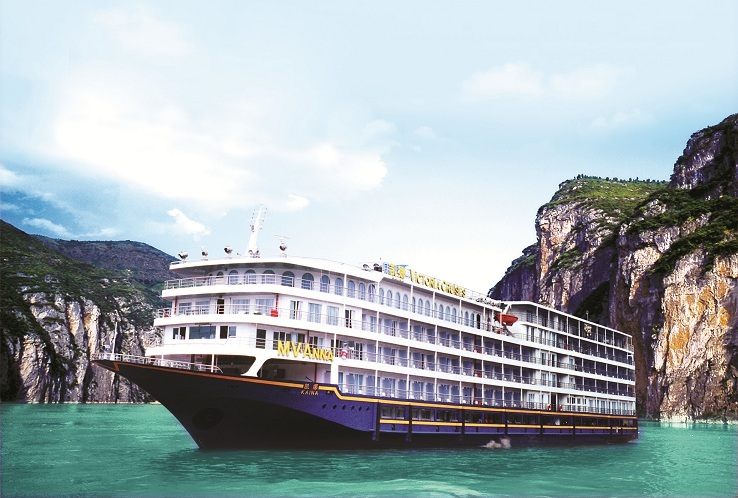 As it prepares its newly renovated fleet for the 2013 cruise season on China’s Yangtze River, Victoria Cruises (http://www.victoriacruises.com/) is launching a complimentary one-night à la carte dining upgrade offer. Passengers will enjoy one dinner in the Dynasty Dining room with à la carte dining menu service – an amenity normally reserved for guests enrolled in the cruise line’s VIP Executive Program. Victoria Cruises works with Philadelphia-based Concepts By Staib, Ltd. to continually improve its culinary program. Internationally-acclaimed chef Walter Staib and his team routinely travel to China to equip the ships and train the culinary staff with the necessary skills and recipes to prepare high-quality Western dishes. Travelers who book passage on applicable Victoria Cruises’ vessels as part of a packaged vacation from leading U.S.-based tour operators will also have access to the one-night à la carte dining upgrade. For a complete list of operators featuring the cruise line’s Yangtze River sailings, contact Victoria Cruises at 212-818-1680. 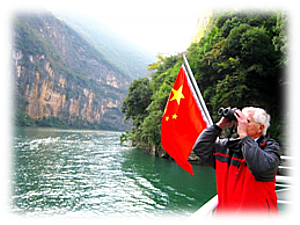 Visit www.victoriacruises.com to learn more about river cruising on China’s mist-shrouded Yangtze. New York-based Victoria Cruises established new standards of excellence for sailing China’s Yangtze River when its first ship edged out of port in 1994. Victoria Cruises remains the service leader and the only American-managed luxury cruise line on the Yangtze River with the coveted five-star rating from the China National Tourism Administration. Victoria Cruises has earned numerous awards and recognitions over the years including the 2011 TravelAge West WAVE Award Editor’s Pick for Best River Cruise Line as well as Best New River Cruise Ship in 2010 with the launch of the luxurious Victoria Jenna. Travel Weekly also recently selected the Victoria Jenna as a Silver Award Winner for the Magellan Awards’ River Cruise Ship category. The cruise line operates a variety of itineraries on the Yangtze ranging from four to nine days. Pacific Delight Tours (http://www.PacificDelightTours.com) is introducing “All Travel Guaranteed” for all of its 2013 world-class programs to China and Asia with a two-passenger minimum. Previously, the leading vacation provider required a six-passenger minimum on most of its tours. In addition to guaranteed travel and no operational or supplemental fees, Pacific Delight is offering savings of up to $1,000 per couple on select Gold Experience Tours booked by Nov. 30, 2012. Relaxation begins from the moment a reservation is booked with Pacific Delight Tours’ no-nonsense mantra and commitment to offering clear, no surprise pricing. Vacationers can experience the ultimate in luxury on China and Asia journeys while taking comfort in knowing that there will be no hidden fees and guaranteed travel with two passengers. “Our number one priority has always been the happiness and satisfaction of our customers,” said Larry Kwan, president of Pacific Delight Tours. “We strive to make all of our travelers’ vacations the most enjoyable and unforgettable experience from the planning stage all the way through to the end of their trip, which is why we do not believe in hitting them with any surprise charges,” he added. Travelers will marvel with the 12-day China Golden Route Gold Experience package priced from $3,699 per person, based on double occupancy (from $3,499* per person, double, with the discount of $200 per person factored into the price), which features FiveStarPlus® accommodations in Beijing, Xi’an, Shanghai, Guilin and Hong Kong. For those looking to experience both the major cities and the picturesque Yangtze River through China’s countryside, the 17-day Cultural China & Yangtze River Gold Experience package is the perfect solution. 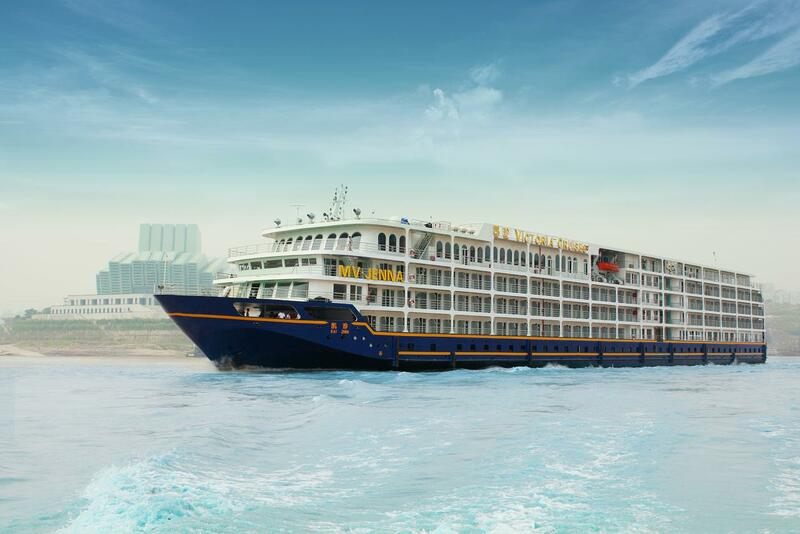 Vacationers will enjoy a three night Yangtze River cruise in upgraded Executive Suite accommodations, complete with “Boutique Lifestyle Service” and a private balcony on a five-star Victoria Cruises ship, along with FiveStarPlus® accommodations for the duration of the trip in Beijing, Xi’an, Chongqing, Shanghai, Guilin, Yangshou and Hong Kong. The package is priced from $4,999 per person, based on double occupancy (from $4,499* per person, double, with the discount of $500 per person factored into the price). Each highlighted Pacific Delight Tours Gold Experience itinerary includes English speaking tour guides, historical sightseeing and UNESCO World Heritage Sites, all meals, Intra-China flights and the USTOA $1 Million Travelers Assistance Program. Cruising aboard Victoria Cruises affords a spectacular view of centuries-old pagodas and temples nestled along the mist-shrouded Yangtze River. Victoria Cruises (www.victoriacruises.com) and Travcoa (www.travcoa.com) partner to offer an exclusive 12-night Legendary China itinerary, which includes stays in Beijing, Xian and Shanghai, in addition to two other itineraries featuring Yangtze River cruises throughout 2012. The extensive Legendary China journey includes a luxurious three-night cruise with Executive Deck accommodations aboard the five-star Victoria Jenna, the newest and largest ship in the Victoria Cruises’ fleet. 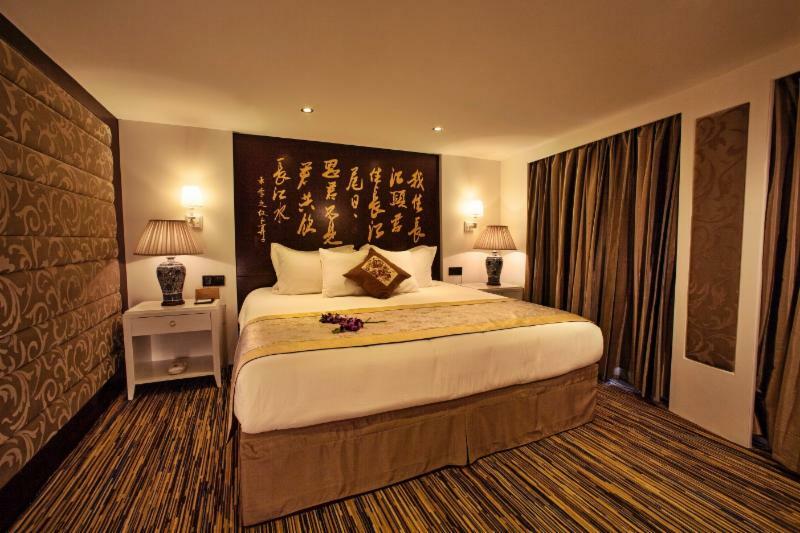 The trip also includes nine nights in five-star deluxe hotels throughout China. Also included are airport transfers, three a la carte meals per day, captivating sightseeing with an experienced English-speaking guide and TRAVCOA travel director plus the TravcoAssist Travel Protection Plan, including emergency medical evacuation insurance coverage for injury or illness, and 24-hour Worldwide Live Travel Assistance through Travel Guard Assistance. The Executive Deck program on Victoria Cruises’ ships features a variety of services, including enhanced ship placement, access to exclusive VIP areas, complimentary beverages including morning coffee and tea service, exclusive shore excursions for groups of six or more, enhanced dining privileges, exclusive happy hour and complimentary Wi-Fi Internet access in the Executive Lounge and lobby areas, with computers available for passenger use. The program also now includes a welcome fruit basket, complimentary laundry (up to four items per day), shoe shine service, complimentary diet soda and wine and beer with dinner, nightly turn down service, and reserved seating for evening entertainment (must be pre-reserved with cruise director). An excursion to the extraordinary 2,000-year-old Great Wall of China, one of the most spectacular structures ever built by man. A visit to Tiananmen Square and nearby Forbidden City, an impressive architectural masterpiece, with special access to the Chong Hua Palace. Explore the hutongs – narrow streets of “Old China” – by rickshaw. A visit to the fabled Summer Palace, resort of the Empress Dowager. A special Peking Duck dinner. A visit to the home of a local family for a cup of tea. See the extraordinary life-sized Terry Cotta Army, along with their horses and chariots entombed with the Emperor. A trip to the Shaanxi Historical Museum to learn about Xi’an’s buried past. A visit to the Wild Goose Pagoda. Explore the streets and museums of Chongqing before boarding the five-star Victoria Jenna cruise ship. A spectacular view of centuries-old pagodas and temples nestled along the mist-shrouded Yangtze River. Many onboard activities including a host of nightly entertainment options. An excursion to the impressive Three Gorges Dam Site in Sandouping, an extraordinary feat of engineering and major highlight of the river cruise. An incredible sailing experience through the Shennong Stream – one of the Yangtze’s scenic tributaries. A visit to the classical Yu Yuan Gardens in Shanghai’s Old Town. Explore the extraordinary collection of ancient Chinese art at the Shanghai Museum. A spectacular dinner followed by a dazzling Acrobatics Show. The deluxe Legendary China itinerary is priced from $5,475 per person, based on double occupancy, with departures scheduled throughout 2012. International airfare is not included. To travel with Travcoa, call your travel agent, or a Travcoa Journey Consultant at 1.800.992.2003, email info@travcoa.com or visit www.travcoa.com. Travcoa offers three styles of luxury travel experiences: discover worldwide destinations in a small-group averaging 12 like-minded guests with an Escorted Journeys; travel privately on a pre-set itinerary for two people, or as many as you wish with an Independent Journey; or have one of our Custom Journey Planners handcraft a Tailor-Made Journey to your exacting specifications. Each style includes private transportation, superior accommodations, expert local guides, privileged access to local treasures and natural wonders, and either the company of one of our renowned Travcoa Travel Directors or on-call assistance from TravcoAssist throughout your journey. To travel with Travcoa, call your travel agent, or a Travcoa Journey Consultant at 1.800.992.2003, email info@travcoa.com or visit www.travcoa.com. Based in New York, Victoria Cruises established new standards of excellence for sailing China’s Yangtze River when its first ship edged out of port in 1994. Since that time, Victoria Cruises has achieved tremendous success by introducing the majesty of the Yangtze River to travelers worldwide. A true pioneer and innovator, Victoria Cruises delivers an unrivaled and unsurpassed Yangtze River experience. An American-managed company, Victoria Cruises operates the largest fleet of vessels with the coveted five-star rating from the China National Tourism Administration. Victoria Cruises offers a variety of itineraries varying from four to nine days including Grand Yangtze Discovery, Three Gorges Highlights, and Three Gorges Explorer. Victoria Cruises has earned numerous awards and recognitions over the years and has most recently received the 2011 TravelAge West WAVE Award Editor’s Pick for Best River Cruise Line as well as Best New River Cruise Ship in 2010 with the launch of the luxurious Victoria Jenna.Travel Weekly also recently selected the Victoria Jenna as a Silver Award Winner for the Magellan Awards’ River Cruise Ship category. For more information and a free color brochure or promotional DVD, contact Victoria Cruises at 57-08 39th Avenue, Woodside, NY 11377; phone (800) 348-8084, (212) 818-1680; fax (212) 818-9889. Send e-mail to contact@victoriacruises.com or visit www.victoriacruises.com.